Sideshow presents the Higher, Further, Faster (Captain Marvel) Fine Art Print by artist Orlando Arocena. 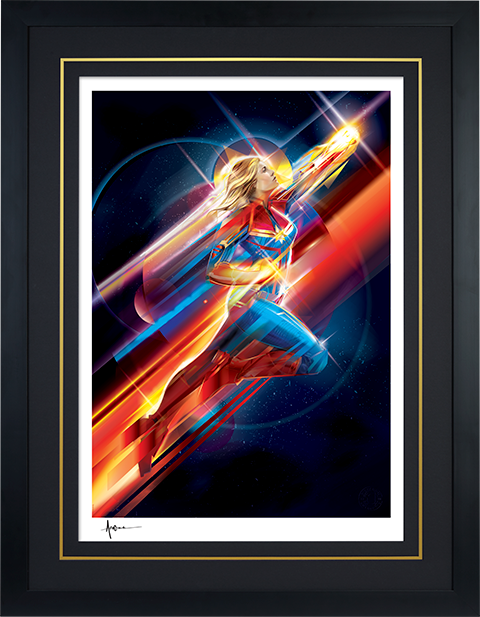 Inspired by Brie Larson’s role as the fearless Captain Marvel in the newest Marvel Cinematic Universe film, the Higher, Further, Faster (Captain Marvel) Fine Art Print pushes Carol Danvers to the limit. 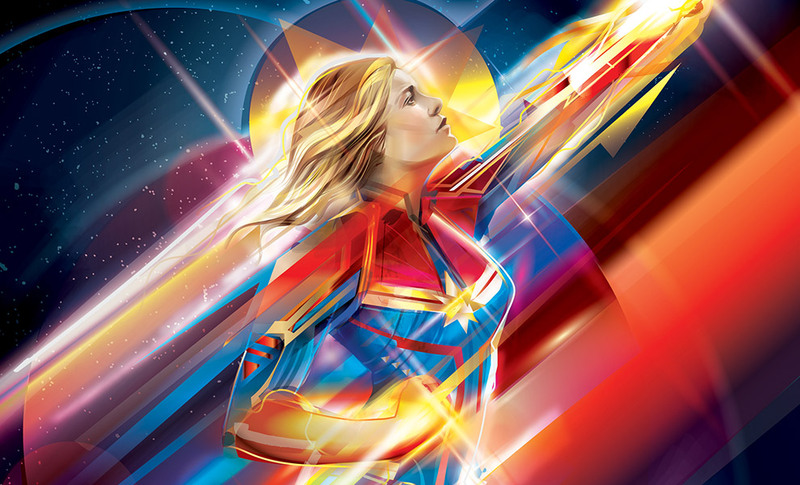 Cast against a background of stars, this stunning illustration captures the strength, grace, and bravery of the half-Kree, half-human, all hero as she soars to new heights. 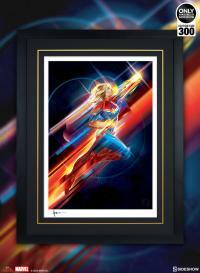 Artist Orlando Arocena uses a variety of unique shapes and bright colors to bring Captain Marvel to life, bursting with photonic energy in this must-have fine art collectible for Marvel Studios fans. 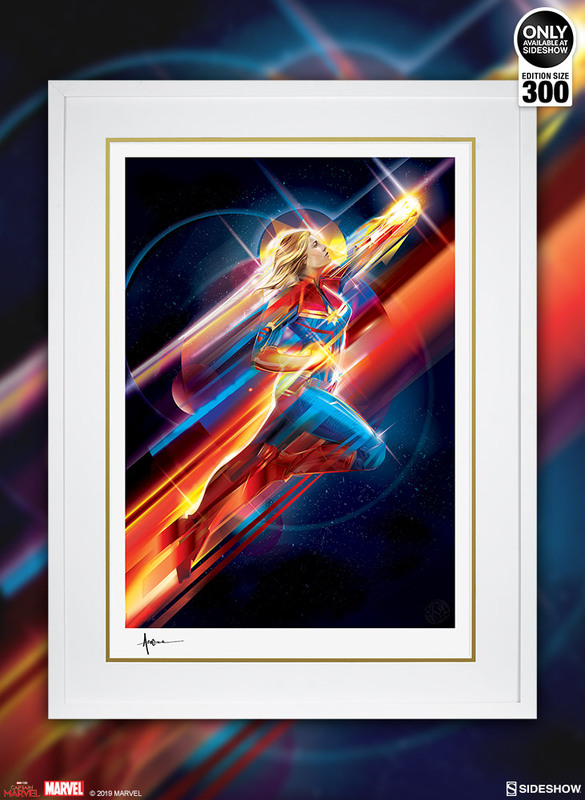 Each Higher, Further, Faster (Captain Marvel) Fine Art Print features an authorized, automated pencil signature and an embossed Seal of Authenticity as a part of the limited edition of 300 pieces. 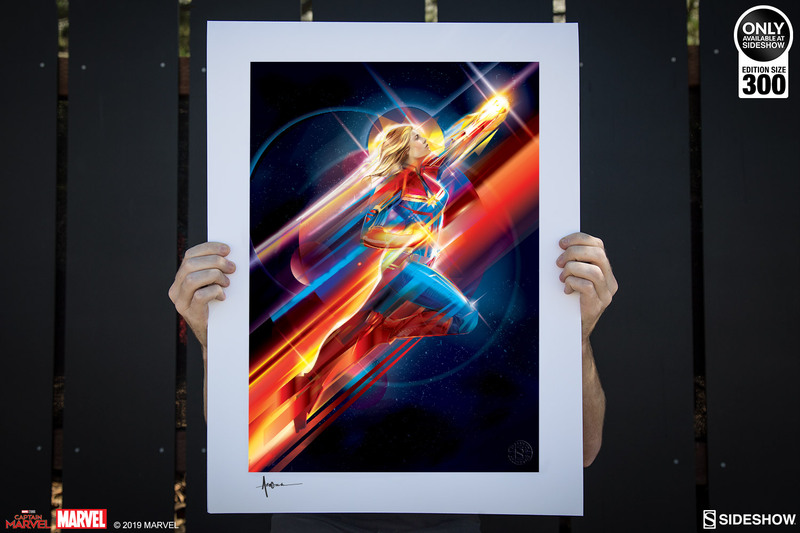 Let Carol Danvers take the lead in your Marvel collection with the Higher, Further, Faster (Captain Marvel) Fine Art Print by Orlando Arocena. 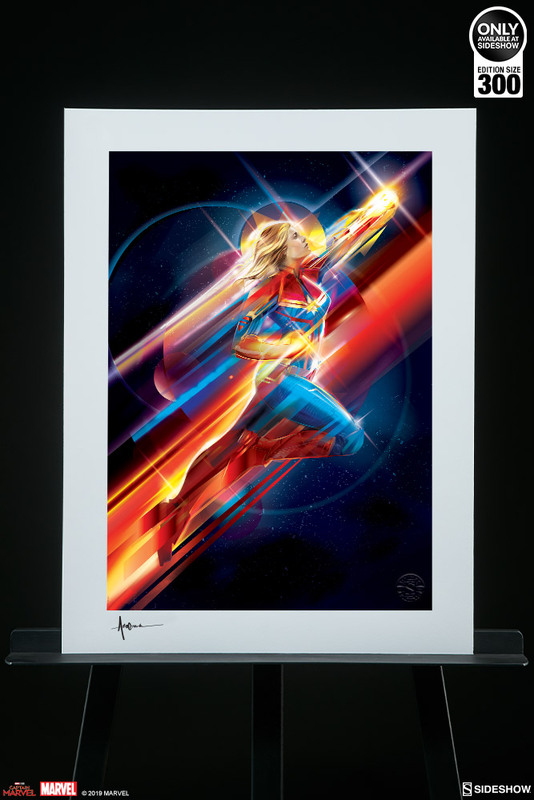 Each Higher, Further, Faster (Captain Marvel) Fine Art Print features an authorized, automated pencil signature and an embossed Seal of Authenticity as a part of the limited edition of 300 pieces. 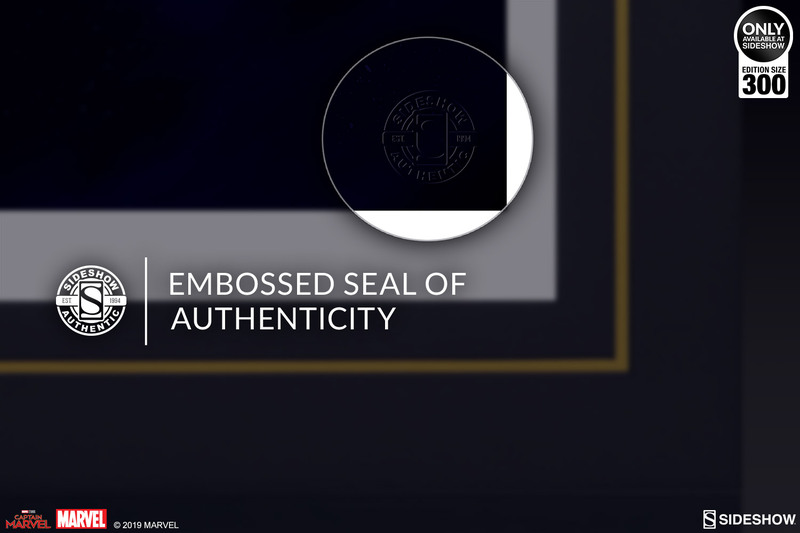 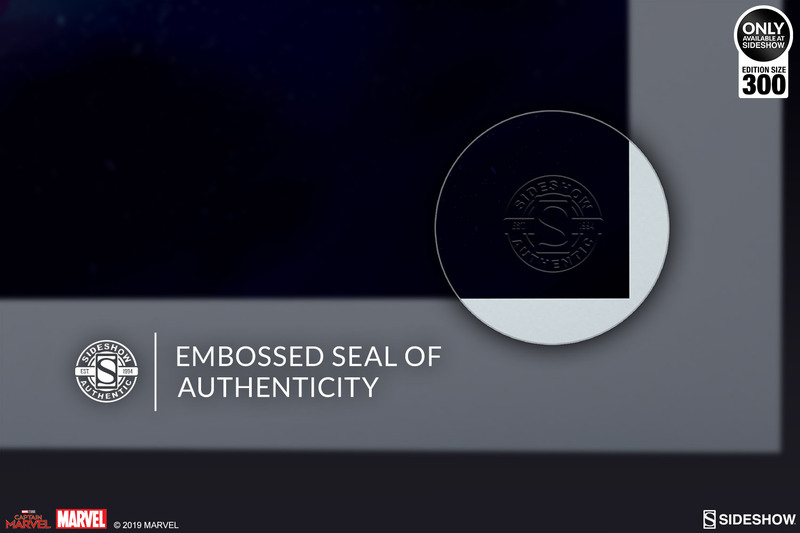 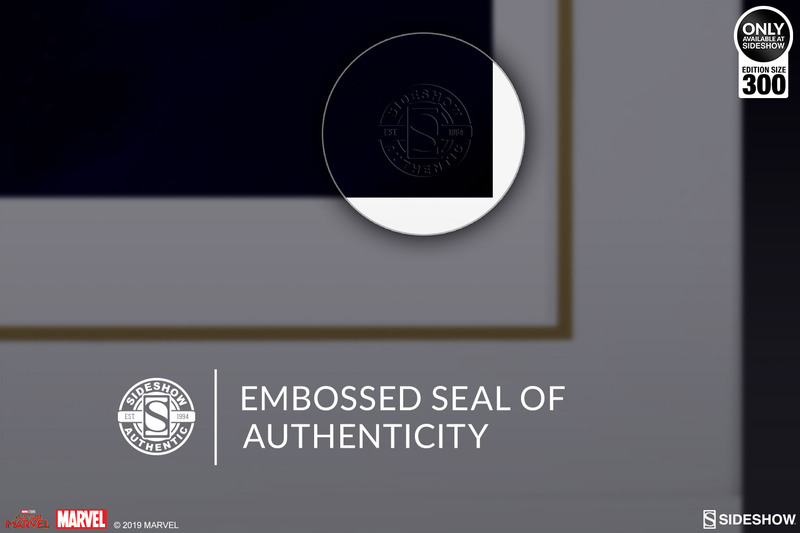 The framed edition of this fine art collectible features a black or white frame option and a custom double mat to push your Marvel art collection to new heights. 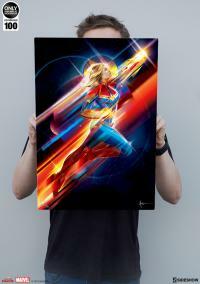 Sideshow presents the Higher, Further, Faster (Captain Marvel) HD Aluminum Metal Print by artist Orlando Arocena. 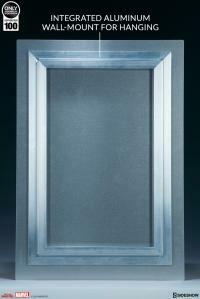 This stylish metal print elevates your Marvel art collection in a visually exciting and easy-to-display format. 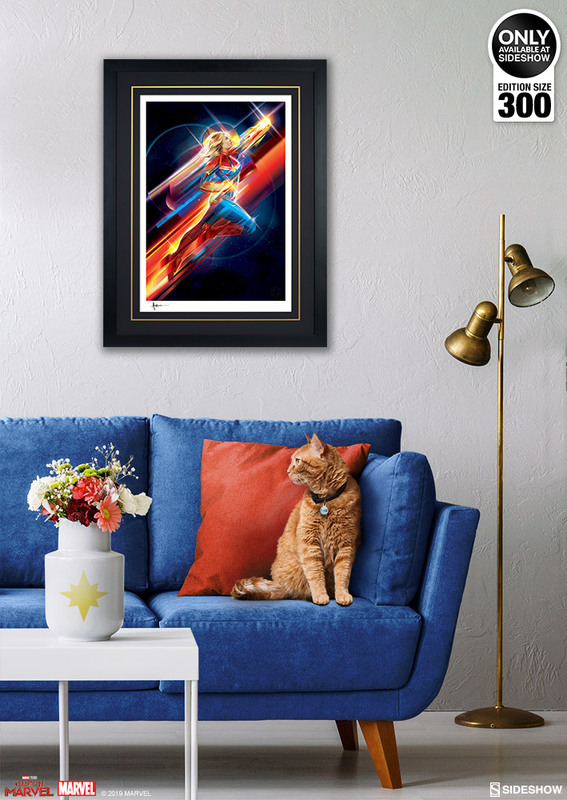 Inspired by Brie Larson’s role as the fearless Captain Marvel in the newest Marvel Cinematic Universe film, the Higher, Further, Faster (Captain Marvel) HD Aluminum Metal Print pushes Carol Danvers to the limit. Cast against a background of stars, this stunning illustration captures the strength, grace, and bravery of the half-Kree, half-human, all hero as she soars to new heights. Artist Orlando Arocena uses a variety of unique shapes and bright colors to bring Captain Marvel to life, bursting with photonic energy in this must-have fine art collectible for Marvel Studios fans. 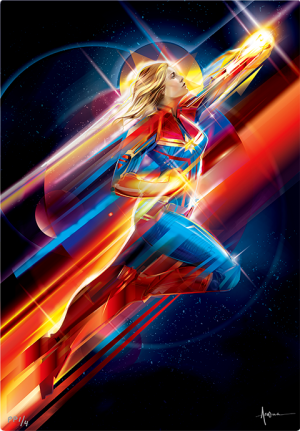 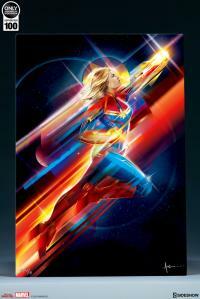 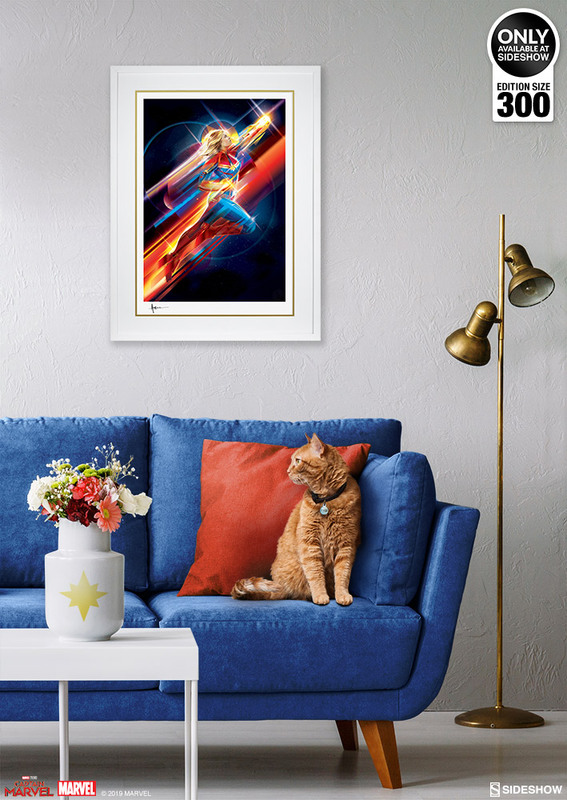 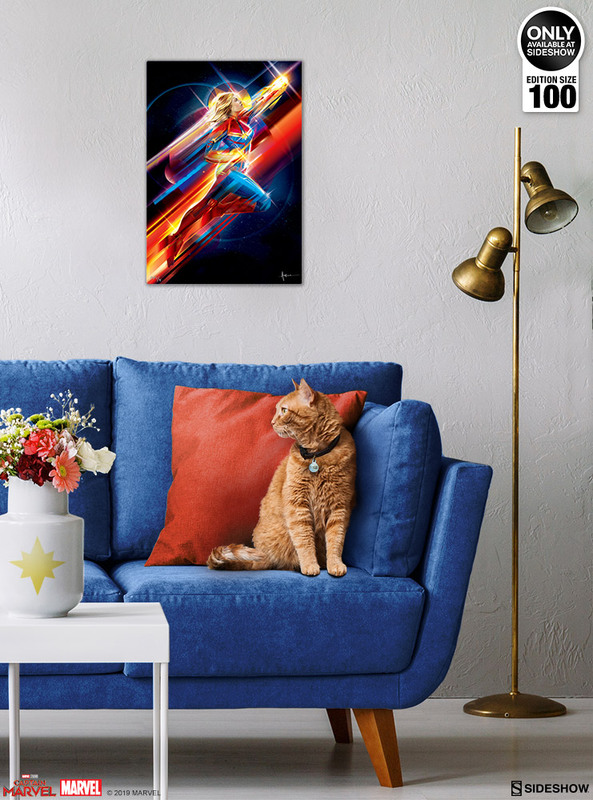 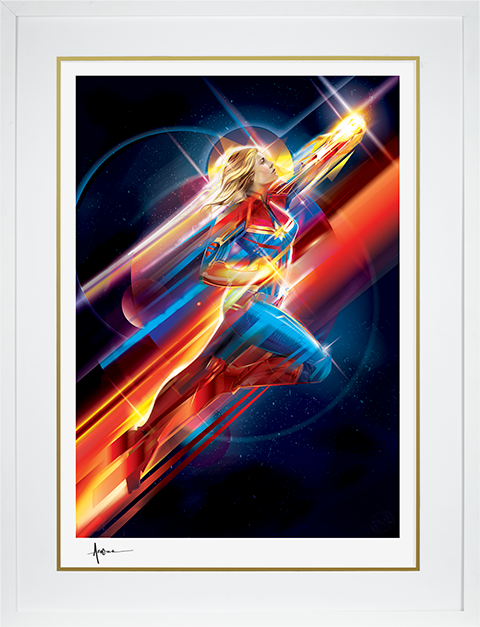 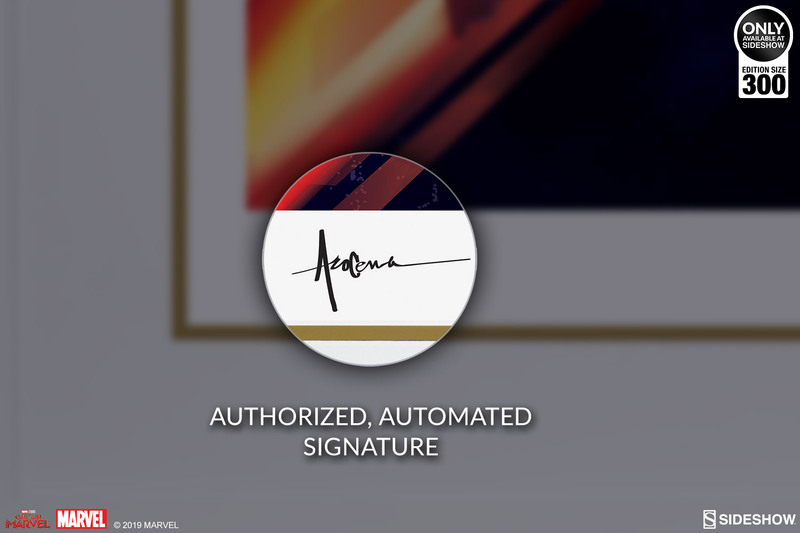 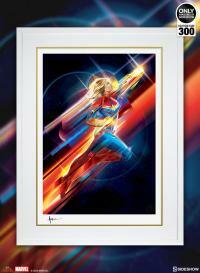 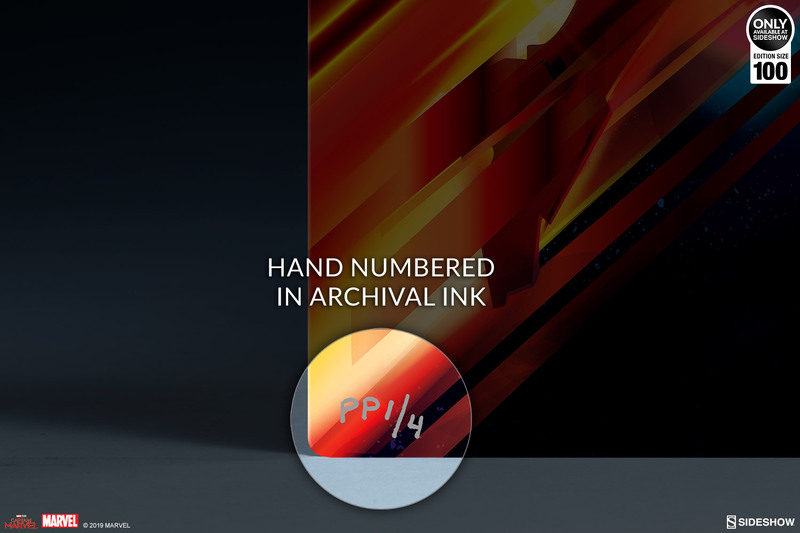 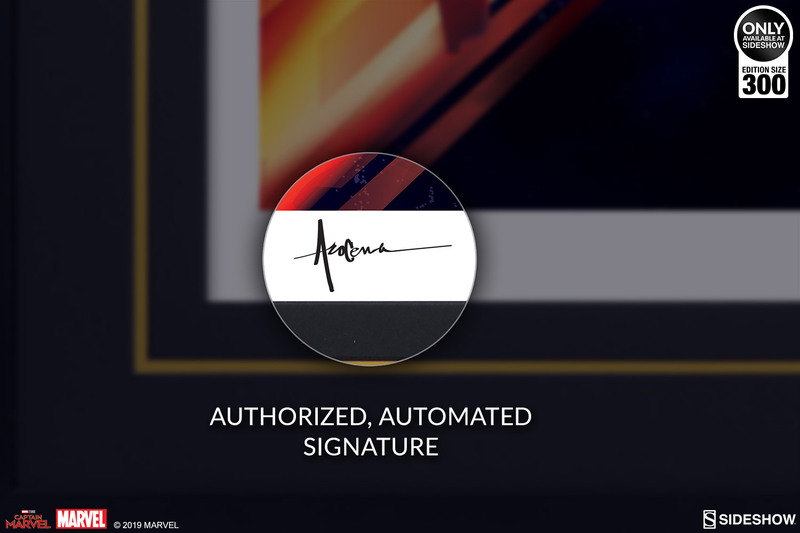 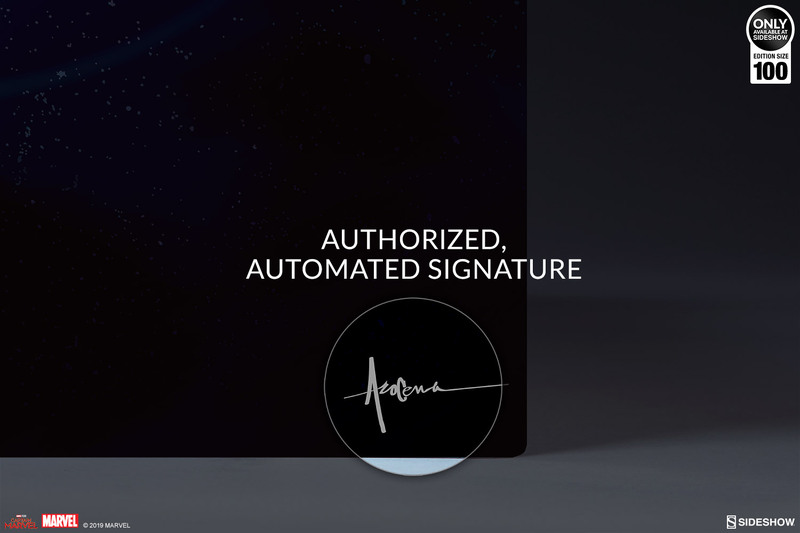 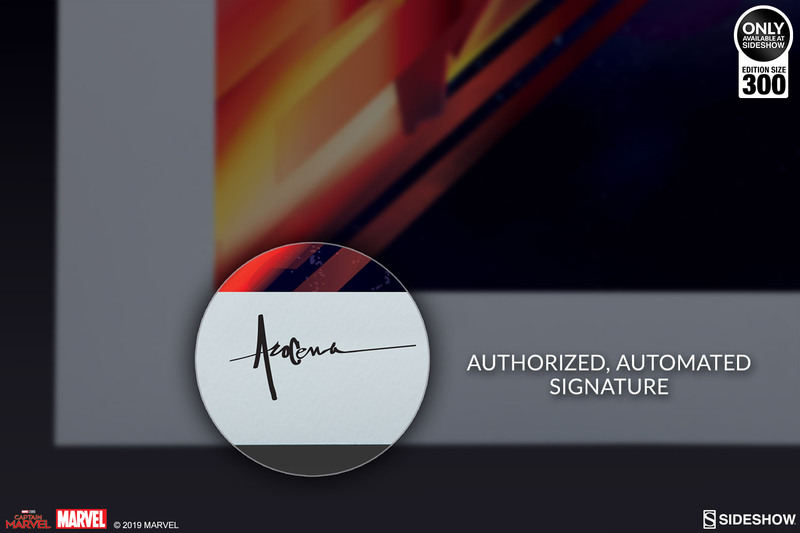 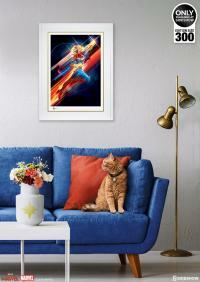 Each Higher, Further, Faster (Captain Marvel) HD Aluminum Metal Print features an authorized, automated ink signature as a part of the highly-limited edition of 100 pieces. 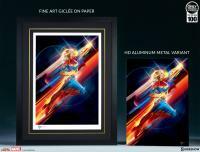 Each HD Aluminum Metal print comes ready for display with an integrated aluminum wall-mount frame and hanging hardware included. 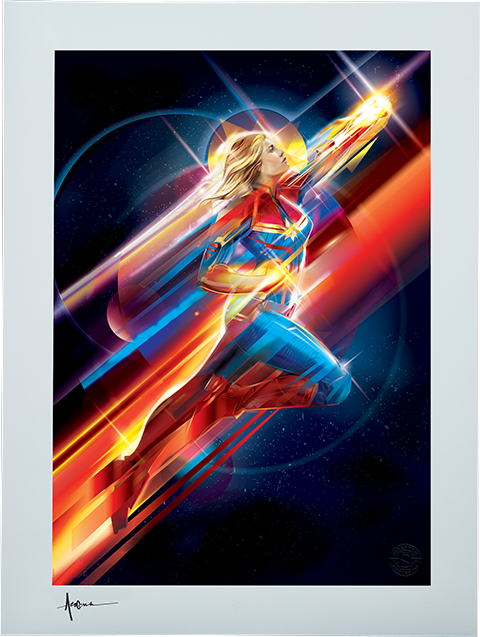 Let Carol Danvers take the lead in your Marvel collection with the Higher, Further, Faster (Captain Marvel) HD Aluminum Metal Print by Orlando Arocena.